It’s so interesting the diverse backgrounds that Asians like you might have. 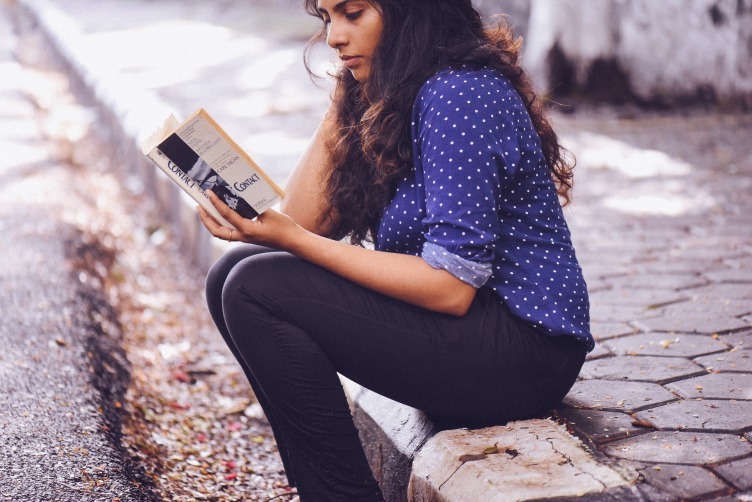 As an Asian reading this now you could be coming from any one of over 30 countries, each with their own set of regional languages and dialects….and some of you even born in New Zealand. And if you are religious, you might belong to any one of over 15 religious groups. So we expect that you might find it frustrating when some New Zealanders think you are all the same. We realise another area where you are all different is how adjusted you are to New Zealand being your home. Some of you are comfortable being here. We feel for the others of you who are struggling. 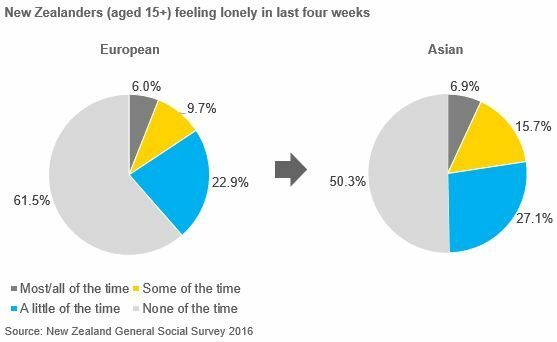 Sadly in various surveys many Asians in New Zealand are responding that they are lonely, with Asians showing more loneliness than immigrants of other continents. Some of you are feeling lonely even while living with your family, and others are lonely because you are missing all of your family or some of your family as you have some here and some back in your home country. And we would not be surprised if you are missing a sense of belonging – with so much of your life in Asia being significantly different – the way you shop, your medicinal practices, your transport systems, your housing to name a few. 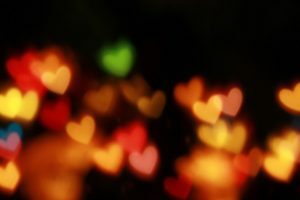 We have great compassion for you having such a significant adjustment – more so than many other immigrants whose cultural practices match more closely to the Pākehā or Māori New Zealander. 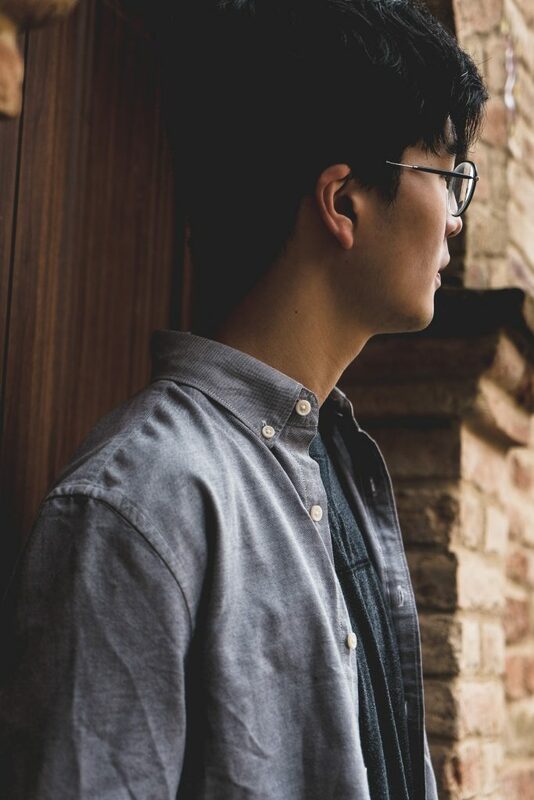 So if you are one of the many people who feels lonely as a result of being Asian, or you know of someone who feels loneliness from this, then read on. 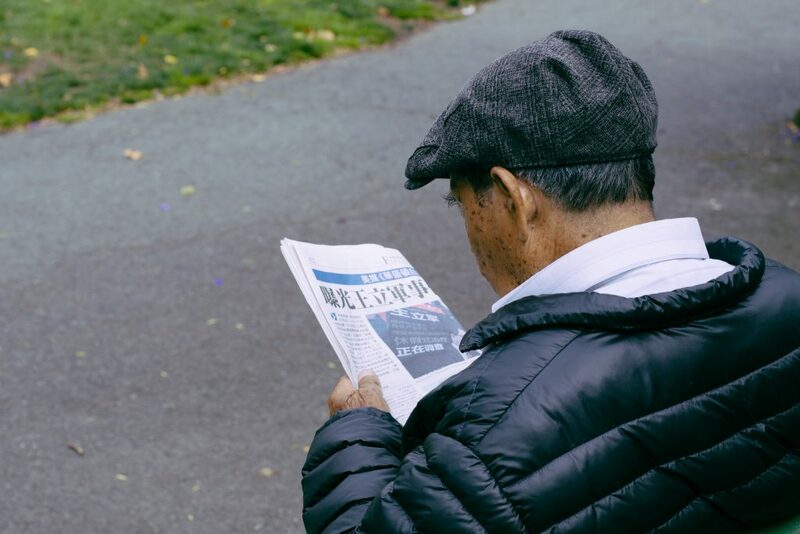 In fact even if you suspect others might be lonely, and they stoically say they aren’t, it’s worth understanding better what it’s like being Asian and lonely in New Zealand. ... on your younger family to transport you everywhere as you no longer live in the heart of the market place. … with everyone telling you what to do and how to do it you no longer feel you are the head of the household. ... living with a Kiwi family is much harder than your parents told you it would be. … you are well educated but your qualifications are not recognised in New Zealand. … how you will cope when your children who speak English leave the house. … and in addition to these, you undoubtedly identify with many of the same loneliness problems that aren’t related to your ethnicity. 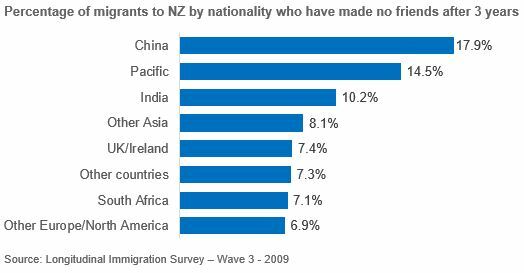 Although there are many Kiwi-born Asians who are totally immersed in New Zealand, there are many of you who were not born in New Zealand. Whatever your situation, Asian New Zealanders are more likely than European New Zealanders to feel lonely. We empathise if you are one of those Asian New Zealanders feeling lonely. Compared to European New Zealanders, Asian New Zealanders are 1.2 times more likely to be lonely most or all of the time (6.9% vs. 6.0%), 1.6 times more likely to be lonely some of the time (15.7% vs. 9.7%), and 1.2 times more likely to be lonely a little of the time (27.1% vs. 22.9%). For those of you who have migrated to New Zealand, then there is a greater likelihood you will be lonely than most other immigrants, excluding people from the Pacific. We know that people from China and India have in the past found it much harder to make friends, and even after three years one in five Chinese immigrants might still not have made any friends. 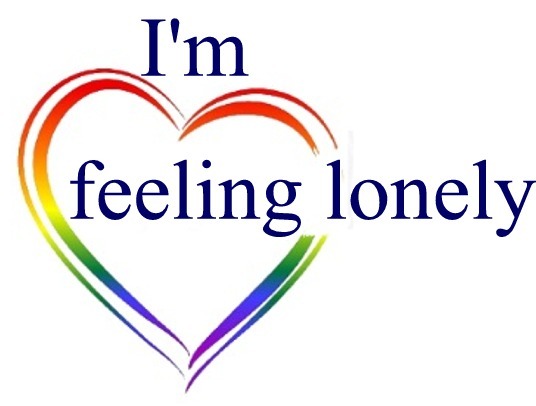 So, if this is you, then it’s no wonder you may be feeling lonely. Making friends is never easy, especially in a different culture that is not your native tongue. Language is the most significant barrier to you forming connections with New Zealanders, including those from other Asian countries. Many New Zealanders focus on integrating Asians into our culture without wishing to understand the various Asian cultures. You no longer feel safe with an increase in Asian people becoming the target of crime. The interrelationships at the office make you feel uncomfortable – your way of influencing control, talking about problems and risk taking is very different to those around you. You want to live like a Pākehā but your family culture requires you to continue to live at home, and to follow their practices. As a retiree in a new country you do not have an easy way to build up support outside your immediate family home. Not looking after your health – increasing smoking and substance abuse. Becoming aggressive – you are tired of being told what to do. Being in conflict with your spouse as your family life is now very different. Avoiding telling your family about where you have been, and what you are doing. Taking no time out to socialise with your colleagues. Becoming a compulsive gambler – spending time at casinos to escape from home stressors.